Caffeine intake can significantly increase the eye's ability to produce tears, a finding that could improve treatment of dry eye syndrome. This is according to a new study published in the journal Ophthalmology by researchers at the University of Tokyo's School of Medicine. Dry eye syndrome affects millions of people. Depending on the study you read, between 5% and 30% of the population will experience dry eye syndrome at some point in their lives. The severity of dry eye syndrome ranges from an annoyance to a debilitating, vision threatening illness that can ruin lives by making it impossible for the sufferer to hold down a job or drive a car. Women and people who have had LASIK surgery are more at risk of dry eye syndrome although it can affect anyone. All of the 78 participants in the study produced significantly more tears after consuming caffeine than after taking a placebo. Dry eye syndrome has a number of different causes that include slower than normal of tear production, tear quality that is worse than normal or tears evaporating faster than normal from the surface of the eye. Dry eye syndrome is sometimes called tear dysfunction syndrome to focus attention on the chief culprit of the disease: some sort of problem with tears. 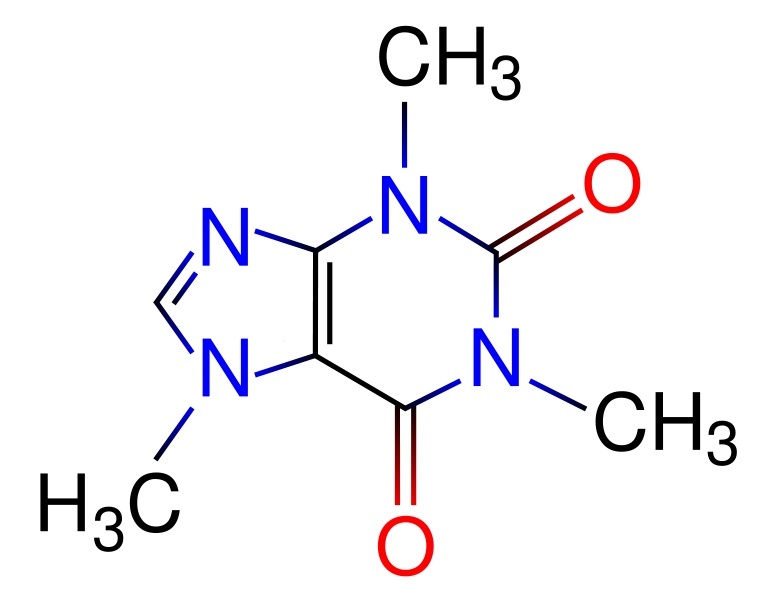 Caffeine is known to increase the secretions of various glads in the body. For example, caffeine increases the secretion of saliva and digestive juices. The study suggests that it may stimulate the gland the produces tears. Dry eye can negatively impact the quality of your life. If you think you have it, go see your optometrist. A number of different treatments are available and it is likely that one of them can help you. In a city like Vancouver BC, where our clinic is located, there is a Starbucks on every corner. I wonder if optometrists write fewer per capita prescriptions for dry eye medication. If public health researchers do a study on that, you will here about it here first! 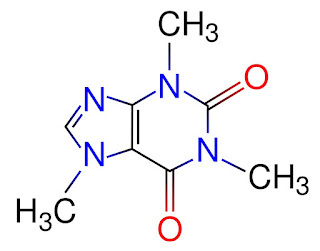 The image at the top of this post is the chemical structure of caffeine.